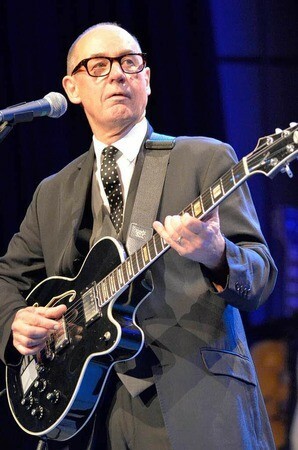 Andy Fairweather Low is one of those Zelig-like figures of British rock. The guitarist and vocalist has been a steady presence since the mid-1960s and is perhaps best known for his playing with Eric Clapton on the massively selling 1992 live album, MTV Unplugged. This month, local Clapton aficionados can get a close-up glimpse of Slowhand’s right-hand man when Fairweather Low performs at Daryl’s House. Fairweather Low first hit the charts as the frontman of mod/soul band Amen Corner, who had a run of UK hits from 1967 to 1969. In Amen Corner turned into hard rock unit Fair Weather, which released one 1971 album before Fairweather Low went solo. After a couple of hits under his own name, he went on to perform with Clapton, Roger Waters, George Harrison, and Bill Wyman. Andy Fairweather Low will perform at Daryl’s House in Pawling, New York, on September 14 at 7pm. Tickets are $25 general admission, $40 reserved seating, and $100 VIP meet and greet and reserved table. For more information, call (845) 289-0185 or visit http://www.darylshouseclub.com/.